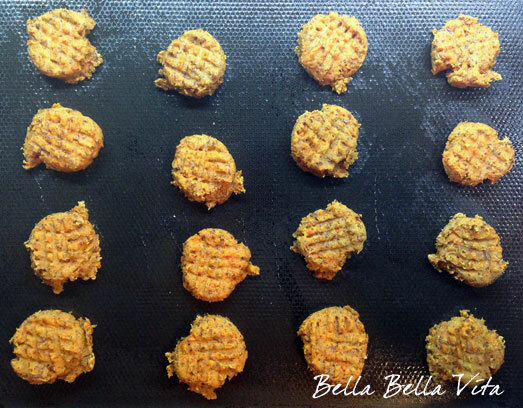 I created this recipe for Carrot Ginger Oatmeal Dog Treats because I wanted an alternative to my Pumpkin Oatmeal Gluten-Free Dog Treats that my dogs love and I give them daily. Since our German Shepard, Indigo, is allergic to so many foods (eggs, wheat, potato, etc. ), I worked with the same gluten-free base and changed it up a bit by adding carrots, ginger and Greek yogurt. Carrots have wonderful health benefits for dogs, as I wrote about in my previous post Healthy Treats - Carrots. Greek yogurt is just as beneficial to dogs as humans for digestion and a protein source. I give Indigo Greek yogurt daily in her food to help with her Inflammatory Bowel Disease. She loves it! The flax seed provides great fiber and omega-3 fatty acids for skin and coat health. Ginger is also good for dogs ... it's an anti-inflammatory that helps boost health blood circulation and aids in digestion. This recipe is SO quick and easy to make. 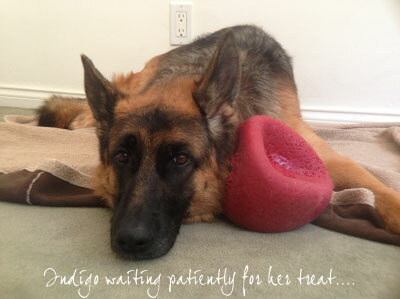 The treats are soft and chewy and it's easy to pinch off a piece if you want to use them for training. Keep in mind they have a lot of fiber in them with the carrots and flaxseed, so don't give too many at once! Preheat oven to 350º. Mix all dry ingredients together in a medium bowl with a whisk. Bake 12 minutes. Cool on wire rack. Store in the refrigerator as there aren't any preservatives used. I also put a small humid pack in the container with them to absorb extra moisture since they have applesauce in them. To learn more about spices that are ok to give your dog, read Herbs and Spices For Your Dog's Health from Ottawa Valley Dog Whisperer.